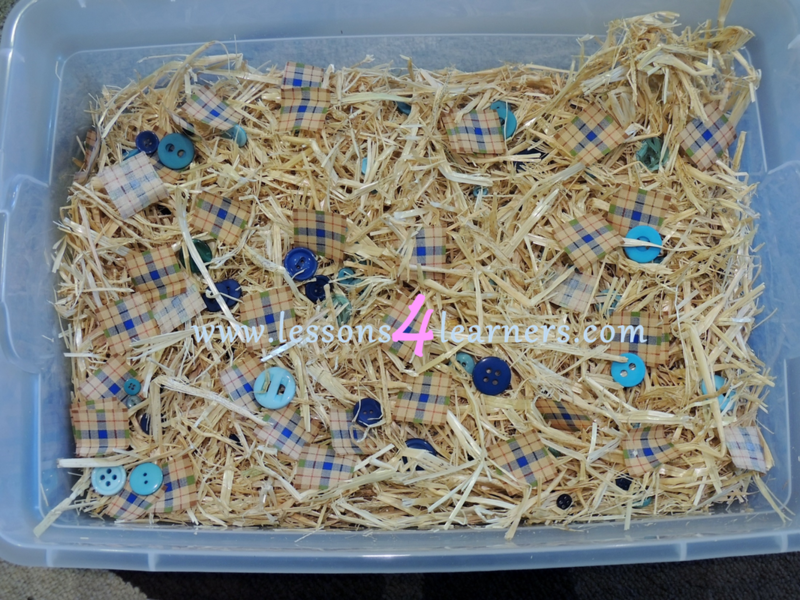 Create the sensory bin by placing the straw, buttons, and cut fabric into the large plastic bin. Introduce the sensory bin and muffin tin. Students can sort the different items by size, shape or color.